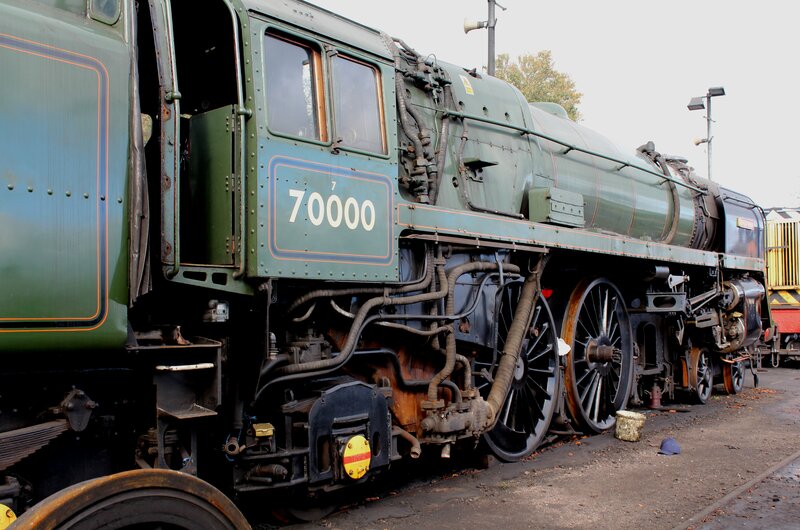 Steam gala’s on the Watercress Line present great opportunities to explore the workshops to see how various overhauls and restoration of different locomotives are progressing. Even considering the recent departures of all but one of John Bunch’s locomotives, the railway has an impressive fleet. The fate of this one locomotive, BR standard 5MT class 73096 is yet to be determined. It could be found tucked away, as can be seen by the picture below. Current residents on the watercress Line are owned by a variety of owners and/or trusts. 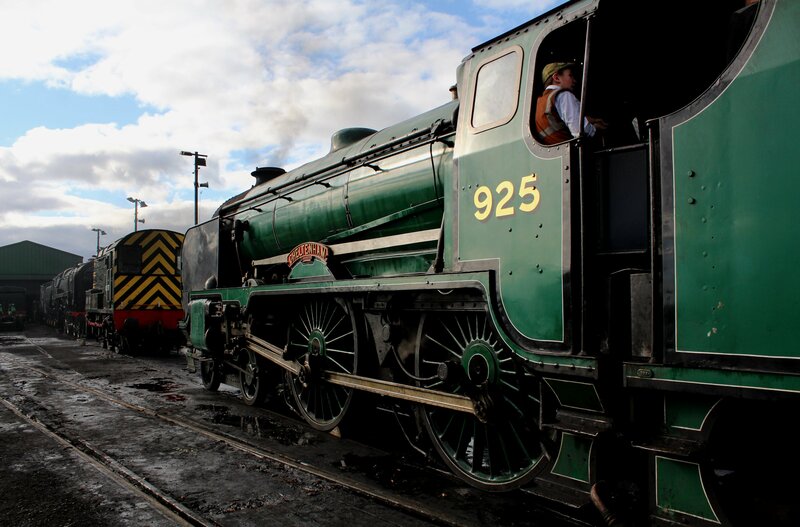 The full overhaul of a steam locomotive on heritage railways is a lengthy process reliant on volunteers; it is also expensive as many parts require re-working or replacing. It is an unpredictable process too, as you can never be sure what you will find when you strip and remove every part of a locomotive for inspection. For these reasons it is typical for there to be numerous overhauls, restorations and repairs taking place at any one time. BR Standard class 4MT 2-6-0 76017, BR Standard class 4MT 4-6-0 75079, Southern Railway S15 class’ 30499, 30506 and 30828, unrebuilt West Country class 34105 Swanage and British Railways Ivatt 2MT 2-6-2T 41312 are all progressing at Ropley to be returned to working order. Additionally of course is Merchant Navy class 35005 Canadian Pacific, that is in Eastleigh awaiting the outcome of a National Lottery funding bid. The gallery below shows pictures of some of these locomotives. If you wish to follow the progress of these overhauls, I advise you to keep an eye on the railway’s blog (click here to read,) as well of course as staying tuned here for Simon’s updates regarding 35005, once funding is (hopefully) confirmed. Originally had been hoped that 70000 Britannia could join the visitors during the Autumn Steam Gale 2014 (click here to read more about this event,) albeit renamed and numbered. Unfortunately, as can be seen from the picture below, this BR Standard class pacific was not serviceable on the day. Finally, we can report that platform 1’s new waiting room and shelter is almost complete. As can be seen from the pictures below, it looks rather splendid too! As you can see, a vast amount of time and effort is put into keeping this heritage railway alive. 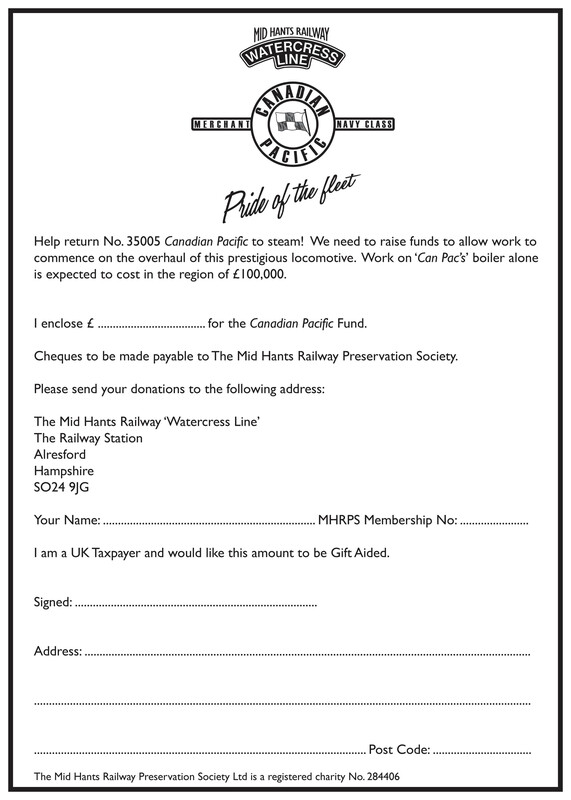 One particularly special project aims to get the mighty record holder, 35005 Canadian Pacific running again. The boiler work for this task alone will cost £100,000. That’s where you can help and a contribution, no matter how small, will bring us a step closer to enabling this to happen and is very much appreciated. 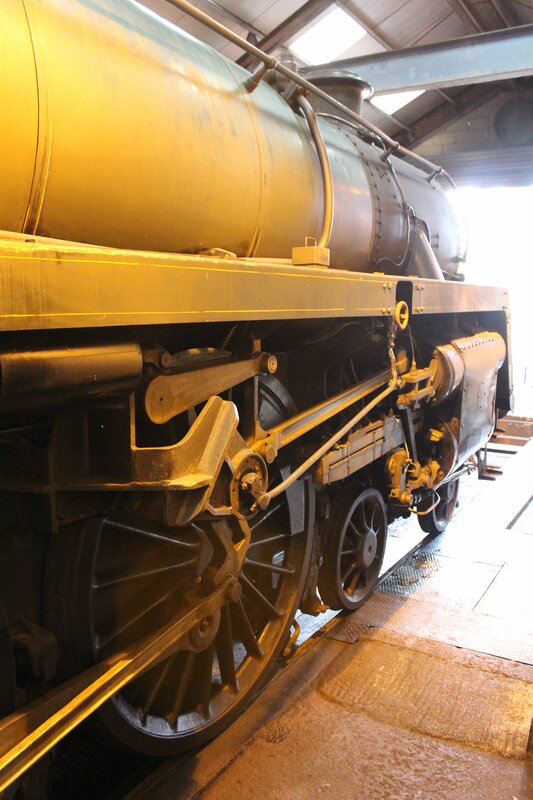 Don’t Forget to check out the Brookes Castle – Volunteer Diary to catch up on previous posts on 35005 Canadian Pacific!